I'm getting an error that reads, "storage provider responds: invalid refresh token" every time I try to download a file. I'm at a loss. Also, all of my files are showing the attached image when I double-click any file. This error message appears, when the provider token expires. 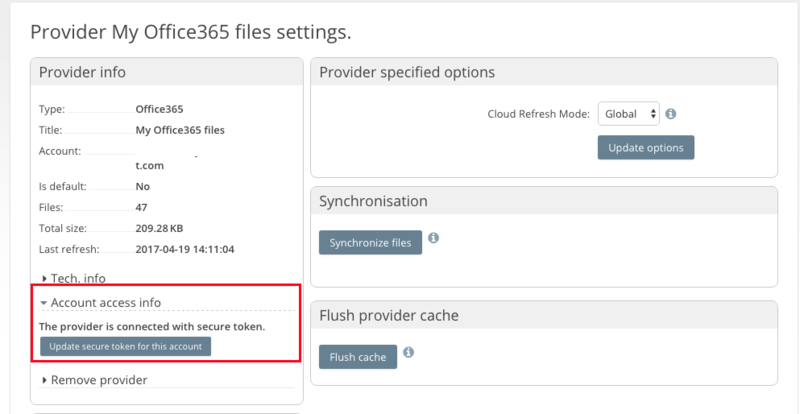 You can refresh the token, by going to your SME account Dashboard, click the settings icon for the provider. From the left of the settings page click on Account access info, then click on Update secure token for this account you will be directed to another page where you can reenter the provider details to refresh the token.